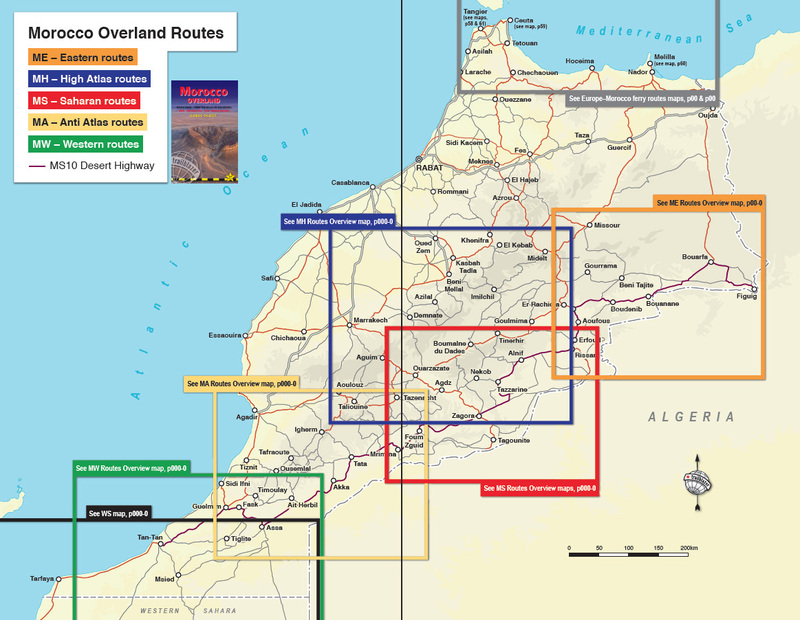 Edition 3’s 65 routes are spread across five regions of southern Morocco. The Atlantic Route is no longer covered as it’s now a well used road with plenty of fuel and traffic. There are a couple of new routes described online on the Morocco Update Page. The book’s .gpx files are only selected, key waypoints, not a tracklog (continuous line). If you want a tracklog, download a GPS map. 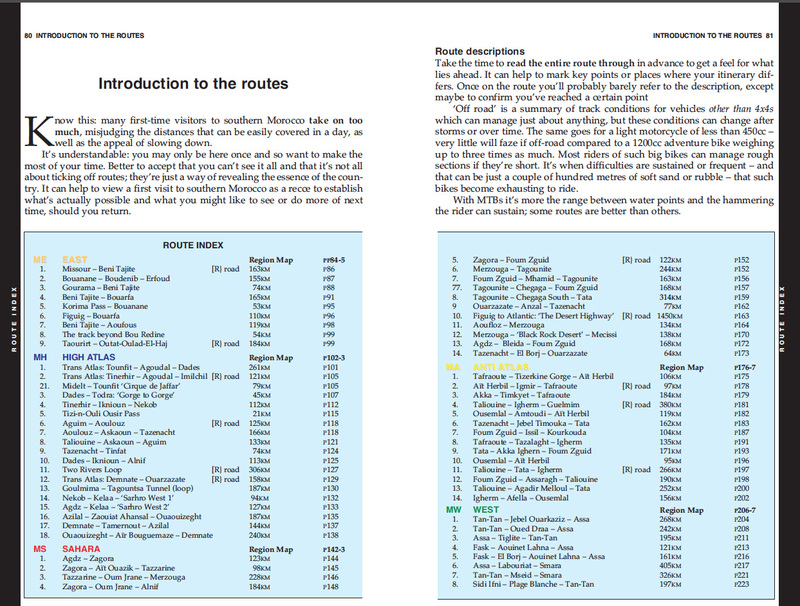 Most are free and just about all the routes in Morocco 3 (below) and plenty more are on these maps. Some routes have been completely realigned, and some [R] road routes don’t need .gpx files. All gpx routes (updated February 2019) can be downloaded as a zip folder here. If your files come in as ‘route.gpx.txt‘ or ‘route.gpx.xml‘, delete the .txt or .xml suffix and it’ll become a regular .gpx which your GPS software should recognise. If you feel the waypoint data is inadequate, it’s easy to add extra ones by opening the .gpx file with a plain text editor and paste stuff in. The files use three Garmin icons (left), but not all units or software may display them like that. Each .gpx waypoint is identified as follows: …/MH18KM132. The first 2 letters correspond to the five M- regions (right), figures correspond to the route number in that region and the remaining figures relate to a kilometre reading on that route, corresponding to a description in the book. The example above being Kilometre 132 of MH18 which corresponds with the book description on the left. 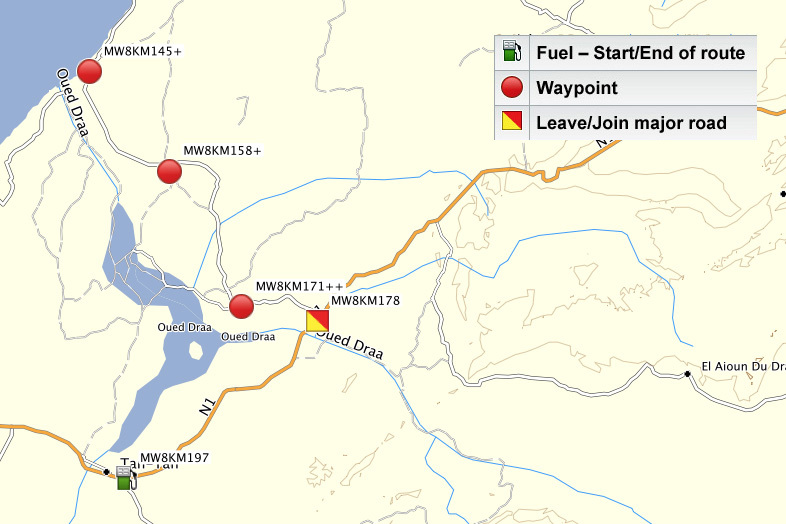 Nearly all routes start and end at a fuel station which usually means a town with accommodation and other services. This entry was posted in Uncategorized on December 27, 2014 by Chris S.